As 2013 draws to a close, so it becomes time to discuss the best releases from the Korean film industry from the year. It’s been quite year for Korean film. According to the Korean Film Council the industry crossed over the 200 million admissions mark for the first time in history, averaging just over 4 films per person; recently released drama The Attorney (변호인), based on former president Roh Moo-hyun’s early career, broke the box office record for single day admissions in December attracting over 540,000 moviegoers upon opening; Bong Joon-ho’s Snowpiercer (설국열차), the most expensive film in Korean cinema history, was released to critical and commercial acclaim; and Moon Byung-gon’s Safe (세이프) won the short film Palme d’or at the Cannes Film Festival, the first time the award has been bestowed upon a Korean director. But back to the issue at hand – the top ten. ‘Best of’ lists always feel somewhat disingenuous as it’s impossible to have seen simply everything to emerge from the industry over the past 12 months. This also unfortunately applies to this particular list, particularly in regards to films released over the past month. So, in the interest of full disclosure, here are some great films that could potentially have been included in the top ten had they been seen – Moebius (뫼비우스), Hope/Wish (소원), Way Back Home (집으로 가는 길), and The Attorney. While Jiseul premiered at Busan in 2012, it was officially released nationwide in 2013 and for that reason jointly takes the number 1 spot. 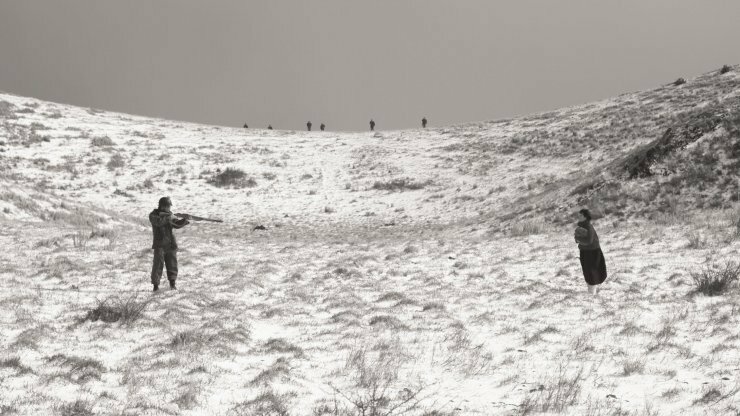 Director O Muel’s breathtaking film about the 1948 Jeju Island ‘Uprising’ (or rather ‘Massacre’) is one of those rare films that transcends the medium into art. The stunning cinematography is exquisitely captured through the black and white tones, while the realism-inducing long takes convey the atrocities endured by the Islanders with palpable melancholy. Shockingly, Jiseul was not submitted as Korea’s entry for the Academy Awards (with the honour instead going to Juvenile Offender), a presumably political decision due to the negative manner in which the Korean military are portrayed – a genuine shame as Jiseul is one of the best Oscar contenders Korea has produced in quite some time. 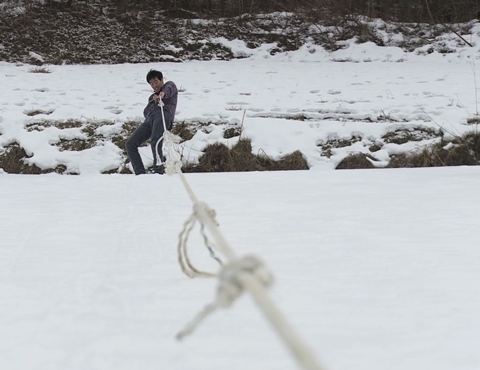 Nevertheless, director O Muel’s beautifully haunting tribute is an absolute must-see. (See the full review here). Han Gong-ju is without a doubt the best new film of 2013. Staggering powerful, heartbreaking and courageous, the film tells the story of high schooler Gong-ju who is forced to relocate to a new school due to a secretive event in her past. Director Lee Su-jin has crafted an incredible film that wonderfully captures many of the social issues in contemporary Korea, confronting the themes of selfishness and corruption directly and in doing so evokes a maelstrom of emotional resonance. It is no stretch to say that Han Gong-ju is like a raw Lee Chang-dong film, one full of maturity and awareness yet with added indignation. Staggeringly, the film is also director Lee Su-jin’s feature-length directorial debut and, should he continue to helm films of this quality, Korea will have a new auteur in the making. Director Shin Su-won proves her win at Cannes for Circle Line (순환선) was no fluke with the release of the masterful Pluto. 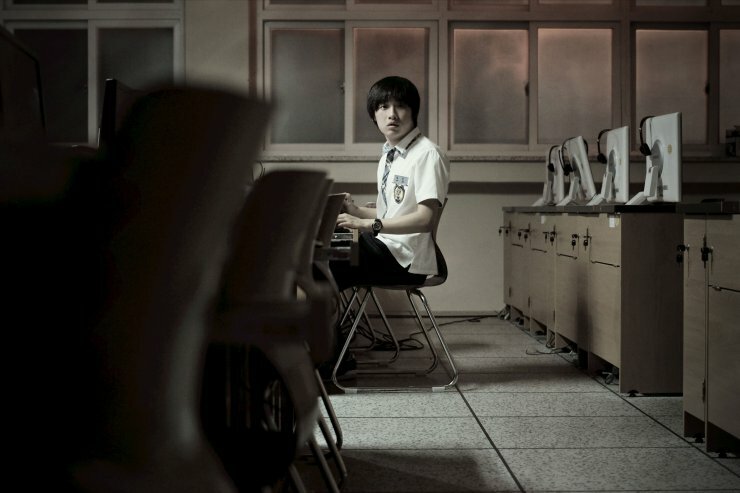 A former teacher before her venture into filmmaking, director Shin deftly employs her knowledge of the insanely-competitive Korean education system in exploring how students can become increasingly amoral in the bid for perfect grades and an all-important university placement. What makes Pluto so special is not only the examination of corruption within the system but also the character development as Joon – wonderfully acted by Lee David – gradually succumbs to violent ambition. (See the full review here). The best kind of documentaries are the ones that serve to enlighten, yet director Park Moon-chil goes one better with My Place in that he too is on a quest for knowledge. Initially believing that his sister is somewhat irresponsible for wishing to be a single-parent, director Park attempts to understand his sibling by investigating her past, which in turn leads to startling discoveries about his entire family. 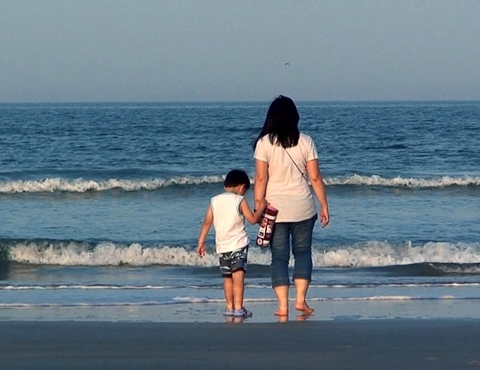 Through exploring cultural and generational differences as well as revealing – and attempting to heal – family trauma, My Place is a wonderful testament to family and forces audiences to address how well they know their own relatives. (See the full review here). 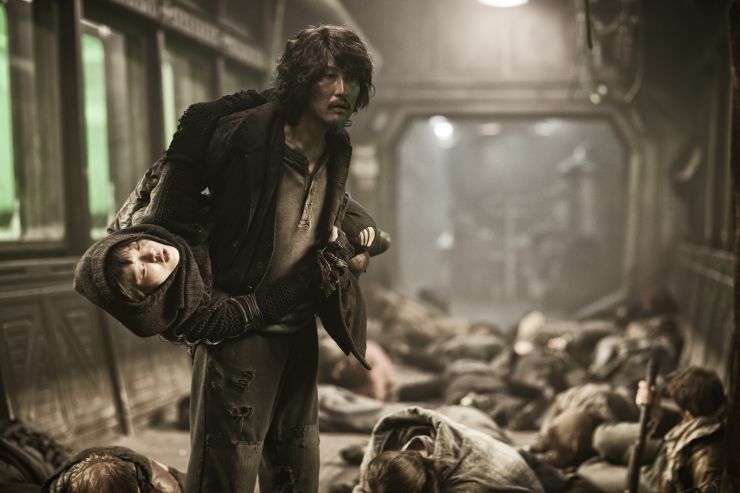 A pulse-pounding thrill-ride from start to finish, Bong Joon-ho’s Snowpiercer is a momentous sci-fi epic. 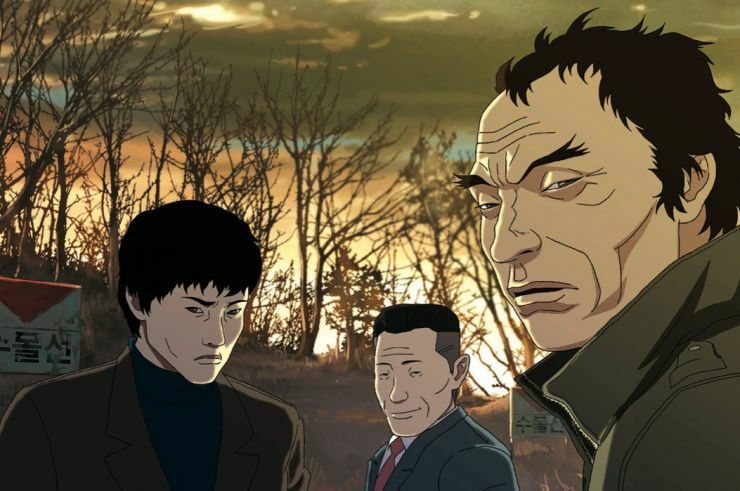 Based on the French comic Le Transperceneige, the film depicts a world devoid of life due to global warming with the last remnants of humanity hurtling around the world on the perpetually moving train ‘snowpiercer.’ What makes the film so fascinating is the manner in which the class system is explored, examining the nature of revolution, the brainwashing inherent in education, as well as the potent symbolism laced throughout – particularly from Tilda Swinton’s brilliant channeling of Margaret Thatcher as the villainous Mason. Snowpiercer is also a triumph of production design, and ranks among the best science fiction films to emerge from the industry. (See the full review here). Brutally intense and profoundly disturbing, The Fake is a phenomenal indictment of the fraud that exists within society. The Korean title ‘Saibi’ is specific to religion, and potent symbolism abounds; the looming threat of a flood sends the local populace into a religious fervour as they compete for the ‘limited’ places in heaven. Interestingly director Yeon Sang-ho marries such weighty material with the generic conventions of the western, and the result is extraordinary – should the audience align with the fraudulent man of God, or the truthful-yet-devilish western anti-hero? (See the full review here). Taking a cue from Coppola’s The Godfather, director Park Hoon-jeong’s gangster epic New World is among the best examples of the genre in recent memory. As a screenwriter on I Saw The Devil and The Unjust director Park has experience in weaving bloodthirsty thrillers, and his vision in constructing a tale of vengeful gangsters attempting to fill a power vacuum is brilliant. The double-crosses and Infernal Affairs-esque clashes between men on both sides of the law are made all the more powerful with the stunning cinematography and visual finesse. (See here for the full review). A remake of Hong Kong action-noir Eye in the Sky, Cold Eyes is a vastly different adaptation set in the shimmering metropolis of Seoul. The slick thriller is incredibly entertaining not only for the great pacing and exhilarating cat-and-mouse chase sequences, but also for the wonderful casting. Han Hyo-joo, so often relegated to being a pretty love interest, is excellent as the bold, smart and independent rookie, while Jeong Woo-seong is great as the steely and manipulative villain. (See here for the full review). The Berlin File marks a genuine stage in evolution for director Ryoo Seung-wan. His previous films have typically been highly entertaining action-thrillers often serving to revere classic sequences of yesteryear; however with The Berlin File the high-octane set-pieces, kinetic camera movement and rapid editing combine to create his most exhilarating film to date. 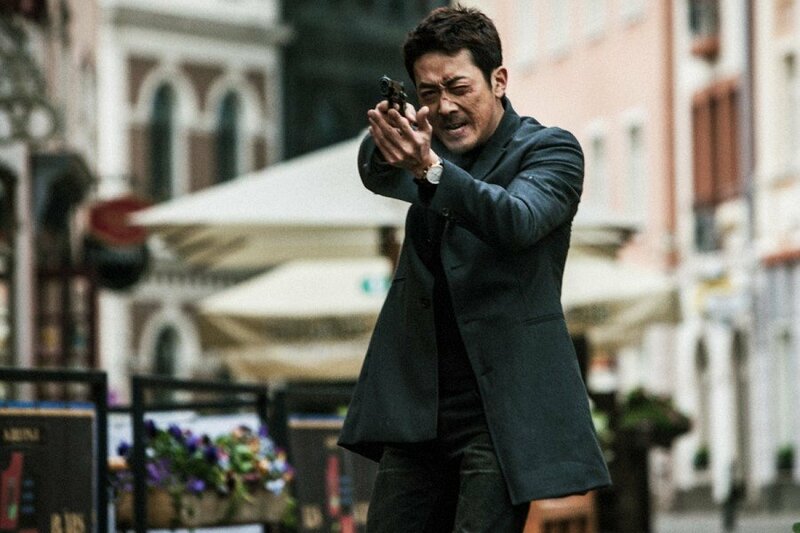 With an all-star cast featuring Ha Jeong-woo, Jeon Ji-hyeon, Han Seok-kyu and Ryoo Seung-beom, The Berlin File is one of 2013’s great genre films. (See here for the full review). 2013 was full of cliched and generic rom-coms – which made How to Use Guys with Secret Tips even more refreshing. Criminally under-seen due to a release date alongside Miracle in Cell No. 7 and New World, director Lee Won-seok’s debut is simply bursting with colour, vitality, inventiveness, and most importantly – brains. Spinning the cliches upside down, director Lee continually pokes fun at modern masculinity as well as highlighting the sexism that exists in contemporary Korea in a uniquely humourous fashion, combining to produce one of the most enjoyable and downright fun rom-coms in quite some time. (See here for the full review). Still have to watch every single one of these. 1, 1, 2, 3, 5, 9 and 10 are the ones I would really like to watch (sadly didn’t manage to attend the Lebanon Emotion screening at the BFI Film Festival). 2 and 9 will be getting UK releases soon (indeed, I have a screener for 2 🙂 ). Cold Eyes, New World and Berlin File already screened here, but I wasn’t particularly interested in seeing them. The ….Secret Tips one I think screened as well, but I’m just waiting for the DVD release (may request a screener too but I should first review Pluto & Story of Yonosuke, since all three are Third Window releases). Well, you know how it is… people hardly pay attention to non-English, non-Hollywood films at all, and Korean cinema is completely unknown to most of them. I’ll probably hold off Jiseul for a while, that one stands a good chance of making it to the next London Korean Film Festival… even if that’s still far off. But it would seem like one worth seeing on the big screen? See it twice 😉 haha!